While the US government consider psychedelics as dangerous substances, scientists studied their effects and their findings shed a new light. Experts have reason to believe that some psychedelics show potential as a solution to stop drug and smoking addiction, mental health problems, anxiety, depression, and other health conditions. Do you want to listen to people talk about psychedelics, spirituality, shamanism and more? Here’s a list on some of the podcasts available in iTunes. Check them out! Adventures Through The Mind is an interview-based podcast hosted by Canadian author and public educator, James W. Jesso. Although the show topics range — from spirituality, mental health, and emotional maturity; to love, relationships and sexuality; to history, philosophy, and neuroscience — there are two underlying themes that intersect them all: psychedelics and the mind. James W. Jesso is the author of Decomposing The Shadow: Lessons From The Psilocybin Mushroom and The True Light Of Darkness, both about his experiences exploring the potentials of psychedelics. Aubrey Marcus always believed that in order to play a game well, you should know what the buttons do. He sees himself as an entrepreneur, athlete, and consciousness explorer who spent his lifetime pressing all the proverbial buttons in the game of Life. This podcast is an avenue where he shares the lessons he’s learned from triumph and disaster. He brings in world class guests where they discuss how people can support their bodies, turn resistance to assistance, harness the potential of the mind and emotions, and cultivate a battle tested spirituality. Change truth by Carl Christensen is about drugs, addiction & mental health. Its focus is on psychedelics and other illegal drugs. There are discussions on benefits vs. dangers, and everything in between. Entheogen is a podcast hosted by Brad, Kevin, Joe. In here, they talk about tools to generate the divine within. EntheoNation is a web show featuring visionaries pioneering the cutting-edge of awakening through psychedelic science, modern shamanism, & new paradigm lifestyles. Visionary states have the power to connect us with knowledge, creativity, healing, self-mastery, and awakening, so that we can experience the love, joy, and abundance that is our birthright. EntheoNation is about connecting us with the power of vision, so we can ignite the global spiritual awakening needed to heal our planet and take inspired action. Join Lorna Liana as she chats with ethnobotanists, contemporary shamans, psychedelic researchers, indigenous leaders, visionary artists, evolutionary entrepreneurs, new paradigm thought leaders, and neuroscientists into visionary experiences and conscious evolution. Hacking Consciousness explores the emerging convergence of various disciplines, traditions and cultures in their attempts to understand human consciousness and promote human flourishing. From cutting-edge scientific research and technologies to advanced meditators and proponents of psychedelics, they’ll journey through these efforts to map consciousness through the prism of science, technology, meditation and psychedelics. The intent of the podcast is to bring listeners an easily accessible resource for a variety of topics all related to psychedelic research. There is a lot to learn about new research into the therapeutic potential of psychedelics and marijuana. Over the years, the Multidisciplinary Association for the Psychedelic Studies (MAPS) has amassed an incredible treasure trove of audio archives sourced from the amazing talks, presentations and panels that have taken place at past Psychedelic Science conferences and other unique events. By selecting some of that content and then bringing it to you in a podcast, they hope to create a centralized location for the greater MAPS community. If you’re a researcher, scientist, medical professional or just a curiosity seeker, MAPS hopes that you’ll find this content a valuable resource tool. This is hosted by Zach Leary, a blogger/writer, futurist, spiritualist, connected technology consultant, and socio-cultural theorist. Each week, Mike Brancatelli explores big ideas through a psychedelic point of view with a focus on cognitive liberty. Mike’s mission is to create a space for inspiring and unconventional conversations that provoke interesting and unique explorations of deep thoughts and ideas. He believes that if we want to make the world a better place, then we must look inward and improve ourselves first while recognizing external challenges as well. His show aims to bring those two together in a holistic style approach. He says that the recent explosion of the spread of information that the Internet has given us has created more of a raised awareness in the population. Mikeadelic is about changing the world and honoring the rights to direct experience, cognitive liberty, and freedom from all human beings. This podcast will bring together people and ideas that have an alchemical foundation, and together people will dive into the depths of consciousness and hopefully have some stimulating insights and ideas to share. It will also feature interesting talks by philosophers, scientists, explorers and scholars of various sorts. New episodes every Sunday all year round. On Psilly Rabbits, they talk about the science, history, myth, and philosophies behind altered states, entheogens, and the nature of consciousness. Speakers will be analyzing history and myths from an interdisciplinary standpoint, coupling academia and the occult. Their format includes a mix of conversation, education, and interviews with experts and innovative minds from all practices as they apply their works to the fields of consciousness studies and psychedelic research. At Psychedelic Parenting, they talk about how experiences with altered states of consciousness influence family lives. They are committed to the creation of new family traditions and developing rights of passage grounded in the unity consciousness touched by psychedelic medicines. Since 2005, Lorenzo Hagerty has been podcasting interviews and talks concerning the use and benefits of psychoactive plants and chemicals, both in their natural settings and in medical research institutions. Past speakers include Sasha Shulgin, Annie Oak, Rick Doblin, Daniel Pinchbeck, Shonagh Home, Bruce Damer, Aldous Huxley and others. And there have been over 200 programs featuring talks by Terence McKenna. Also interviews with several of the now long gone elders, such as Gary Fisher, Myron Stolaroff, and Al Hubbard have also been featured. Psychedelic Time’s mission is to share the latest news, research, and happenings around the study of psychedelics as tools of healing, recovery, and therapy. 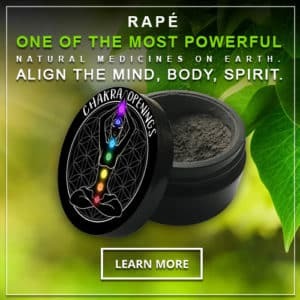 They are passionate about the incredible potential that psychoactive substances such as marijuana, ayahuasca, MDMA, LSD, iboga, psilocybin, and DMT present to humanity, and are excited to share that passion with you. Shamanic Freedom Radio is presented by Opaquelens, an anomalous oddball, who is anarchic in his podcast presentation style(s), whilst being proactive and spontaneous when it comes to ideas for each episode. The only thing consistent about this podcast is that it’s aimed towards those who have experienced a primal shamanic calling of their own, as opposed to those who study shamanism academically or anthropologically. Previous guests include Rupert Sheldrake, Neil Kramer, Graham Hancock, Bruce Damer and David Icke. The Entheogenic Evolution Podcast is hosted by author Martin W. Ball, Ph.D. This podcast is dedicated to the discussion of the nondual and unitary nature of beings as revealed by conscious entheogenic energetic awakening. Featuring music and art by Martin and the occasional interview with leading figures in psychedelic research and culture. South African science writer Leonie Joubert trips into the strange new world of psychedelic psychiatry, ahead of hallucinogenic mushrooms going on trial in South Africa in 2018. The Third Wave podcast takes a fresh look at the world of psychedelics, hearing the stories of people both in the psychedelic fringe and in mainstream society. Their aim is to share how psychedelics are transforming the lives of people everywhere, both inside and outside of the psychedelic community. By revealing and unraveling the vast range of personal psychedelic experiences, they hope to change the cultural stigma surrounding psychedelic use. The conversations will focus on the use of psychedelics within two main frameworks: as tools for creativity and as medicine for mental health issues. The Tink Tink Club podcast is where people discuss the Psychedelic Renaissance with those most important to the movement.